“Haraamkhor”… Windmills, barren heartland and an illicit affair! Tusshar Sasi	 January 12, 2017	 Leave a Comment on “Haraamkhor”… Windmills, barren heartland and an illicit affair! A cluster of running windmills form backdrop to Shlok Sharma’s unlikely drama Haraamkhor set in what seems like contemporary Madhya Pradesh. Drawing its mood heavily from the windy, atmospheric terrain, the film is all about 15 year old Sandhya (Shweta Tripathi) who develops a forbidden relationship with her teacher Shyam (Nawazuddin Siddiqui). Plagued by familial issues at a transitional phase in life, Sandhya’s liaison with her tutor neither carries a defined template of love nor undue hormonal baggage. In lack of an ambient, protective male figure in her life, Sandhya finds solace in Shyam – a relation that soon takes sexual contours. Also exploring their idea of love and courtship in the story is Sandhya’s smitten classmate Kamal (Master Irfan Khan) with due help from his partner in crime Montu (Master Mohd. Samad). Running in two contrasting parallel tracks – one intense and the other filled with innocent humour, Haraamkhor mirrors life in the rural heartland with commendable honesty. Siddiqui’s Shyam is an educator – one that also runs private tuitions for the same set of students he teaches in school. With students of all sets turning up without fail (including a striking youngster in a Shaktiman costume), the tuition class is a volley of activity. Not giving away too many details, the writer (Shlok Sharma) establishes his leads’ and their discreet meetings. Although it works for most parts of the film, it is this veiled secrecy that attempts to take away the film’s appeal. However, Sharma succeeds in adding neat layers to his story with significant peripheral characters. The tutor’s wife is forever concerned about his teenaged students. After all, she had been his student at some point. Her alcoholic father’s girlfriend forms a connect with Sandhya too. Unconventional that she is, bad parenting wasn’t alien to her either. Somewhat understanding and sensitive, she states on how (equally) bad are their respective tastes in men. Offering a neat contrast is the naïve and supremely confident Montu who fills Kamal with ‘ideas’ to floor the latter’s love interest. Through their escapades, one realizes how these two are certified rogues too – thus making sense to the film’s thoughtful title, which isn’t really an adjective for the adult perpetrator in picture. Running at a lazy pace with some serious drama and wry humour to knit together, Haraamkhor leads us to its eventful finale. In a film perpetually investing on wind, the climax brings in another force of nature – rain – upon barren lands of Indian heartlands, filling us with shock and despair. Thankfully, this isn’t one of those wholly blank open endings that leave us clueless. Cinematographer Siddharth Dewan makes great love to the camera and for once those grainy frames look attractive. Those handheld movements in crucial and repelling sequences jar bigtime though. Editing seems to have done justice to Sharma’s screenplay and so does the background score. A big stickler of end credit numbers, one major downer in Haraamkhor is the ‘Kidre Jawan’ that plays as the end credits roll. Jasleen Royal’s composition sounds straight out of her music bank and her flat, accented singing does no good to the film’s grim mood. Having said that, debutant director Sharma in all his rookie rawness churns out bravura acts from his principal cast. Nawazuddin Siddiqui isn’t completely a picture of contempt. There is some sort of controlled grace that he lends to the misled tutor’s role. It would have been convenient to detest Shyam if not for Siddiqui’s able interpretation that lets us notice other layers as well. That brief moment where he assaults his students in the school courtyard is a fine proof on how assured an actor he is. Shweta Tripathi looks apt and delivers a confident, measured performance. My favourite moment would be the scene that leads her to discovering her father’s parallel life and the sequence that follows. Master Mohd. Samad charms us in every frame as the puny Montu who never runs out of ideas. Initially awkward and a riot later, Master Irfan Khan too pitches is a near-perfect performance. Trimala Adhikari is fantastic as the tutor’s suspicious wife. If at all I were to question the writer-director, I would have asked him about Sandhya’s equation with her female friends. Why was she such a loner? Didn’t she have the mandatory ‘BFF’ to confide in? After all, she was just a ninth grader! Plus, there’s a passiveness in her overall demeanour, even as she breaks out a big news to Shyam. Agreed that the village is less populous but one do miss a social point of view or wagging tongues. After all, can India do without mandatory moral policing and social conditioning? Especially as a young girl who vrooms around on her Luna with an older man on pillion. Probably a lack of spotlight was just what the writer intended to serve. Questions won’t cease to exist, somehow. Watch the trailer of Haraamkhor here! Previous Post25 Non-Indian Films from 2016 you must watch! Next Post“OK Jaanu”…. Nothing is okay in this stagey, monotonous remake! 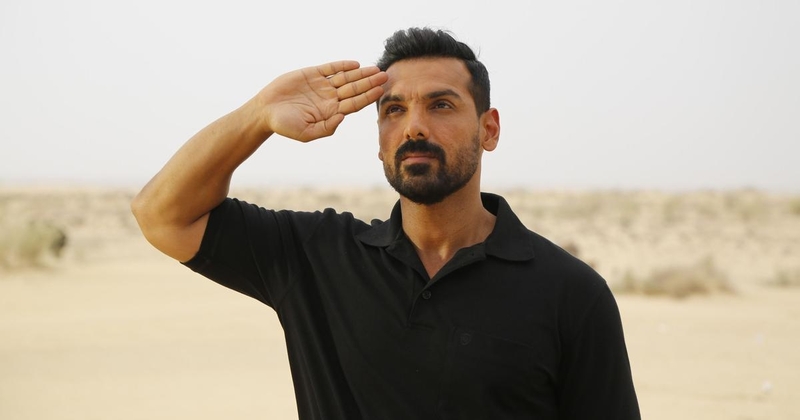 “Parmanu” reduces nationalism to degrees of mind-boggling silliness! 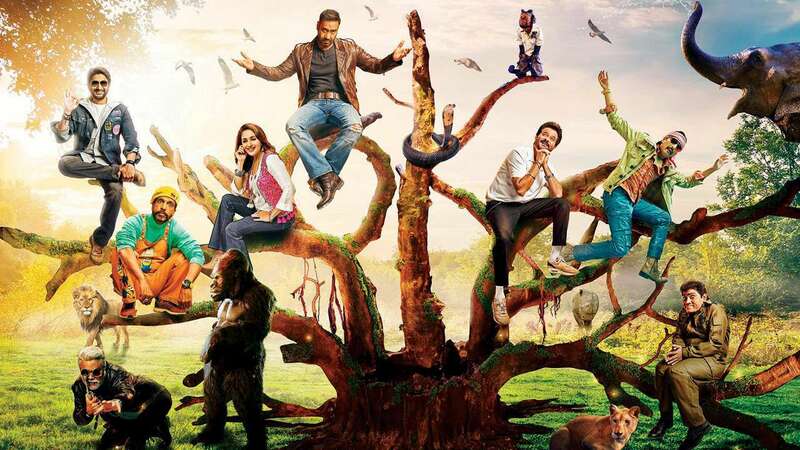 ‘Zoo’ – A relevant subject that just about skims through its surface!